Today is the 50th anniversary of the release of Sgt. Pepper's Lonely Hearts Club Band—an album many consider the Beatles’ greatest. I don’t know if anyone is really capable of judging what the “greatest” anything is—I certainly can’t—but I can certainly offer up my list of favorite Beatles albums, starting with my top pick and moving on down the list. For years if you asked me what my favorite Beatles album was I’d say, “It’s either The White Album or Abbey Road.” But then came the 2009 remastering of the Beatles catalogue and The White Album—its sound refreshed, restored, revitalized—beat Abbey Road to the finish line. This, for me, is the greatest—and most diverse—collection of Beatles material: John is in absolute peak form, delivering everything from the haunting acoustic longing of “Julia” to the soul-ravaged desperation of “Yer Blues,” from the sunshine-euphoria of “Dear Prudence” to the twisted genius of “Happiness Is A Warm Gun,” one of the single greatest, and most under-appreciated, gems in the Beatles canon. (And yes, I think “Revolution #9” is brilliant. And, no, I don’t listen to it very often.) Paul’s not far behind, trying his hand at vaudeville (“Honey Pie”), shrieking rock (“Helter Skelter”), pseudo-Beach Boys (“Back in the USSR”) and delivering one of his true masterpieces, “Blackbird.” George serves up three of his best (“While My Guitar Gently Weeps,” “Piggies” and “Long, Long, Long” and a fun throwaway, “Savoy Truffle”) and even Ringo gets in on the action, contributing his first solo composition, warbling an off-kilter country tune. In the end, The White Album is an almost-overwhelming explosion of ideas, styles and genres: there’s musical shrapnel flying in every direction. Some people—George Martin among them—thought the album would have been better had the Beatles winnowed it down to a single LP, that the whole thing was a little too messy, too chaotic. I respectfully, and wholeheartedly, disagree. Side one of the band’s final album (Let It Be was released later, but this was the last the four created together) gives us two certifiable Lennon classics (“Come Together”—driven by the hypnotic combination of Paul's bass and Ringo's drums—and the primal scream precursor “I Want You (She’s So Heavy)”), George’s most celebrated song (“Something”) and a charming Ringo ditty (“Octopus’s Garden”). If Paul doesn’t quite keep up—“Oh, Darling” offers an astounding McCartney vocal, but “Maxwell’s Silver Hammer” is one of my least favorite Beatles songs—he more than makes up for the lack on side two. Technically, the famous medley doesn’t start till a few songs in, but I’ve always considered the entire side to be all of a piece, starting with George’s masterpiece, “Here Comes The Sun”—the greatest Lennon-McCartney song that John and Paul never wrote—leading into John’s gorgeous “Because” (featuring Paul, John and George harmonizing like it’s still 1960) and on through a dizzying array of brilliant music that climaxes with McCartney, at the very top of his game, leading his bandmates through a grand finale that writes an ending not just to this album but to the Beatles’ extraordinary career. The production, by the impeccable George Martin, feels fresh—utterly contemporary—nearly fifty years later. The miracle of Abbey Road is that the Beatles, in the process of dissolving, never sounded better. Talk about going out on top. Recorded in a white heat while the band was still on a constant touring treadmill, Rubber Soul, more than any other Beatles album, buried the band’s mop-top image and announced to the world that these four young men were artists with a capital A. The Lennon-McCartney songs are mature, insightful, weary, cynical, nostalgic, hopeful (a far cry from “She Loves You” recorded only two years before): “In My Life,” “Nowhere Man” “Girl” and “Norwegian Wood” are among the best they ever composed. George Harrison takes a giant leap forward as a songwriter with “Think For Yourself” and “If I Needed Someone.” And it’s all wrapped in George Martin production that’s warm, inviting and intimate. The audiences were still screaming but, if you were really listening, you could hear, beneath the din, the sound of four young musicians smashing through their limitations—and ours, too. Do you want to know what Beatlemania was all about? Put on this album and feel the energy, the optimism, the sense of something new and wonderful rising like a wave across the world. (There are shadows of the darker music to come, as well, lurking on the second, non-soundtrack side.) A Hard Day’s Night, the movie, revolutionized rock and roll cinema, but this album was the soundtrack of our hearts and souls, capturing the moment as expertly as Pepper captured the Summer of Love three years later. Lennon is at another peak here, the title track alone secures him a place in the songwriter’s hall of fame, but Paul’s not exactly slacking with “And I Love Her” and “Things We Said Today.” And both sing as if their lives depended on it, which maybe they did. Much has been made of the fact that two such talented songwriters could end up together in the same band, but it’s equally astonishing that Lennon and McCartney, singularly and together, were two of the greatest singers in the history of popular music. Pepper gets all the love, but when I want to listen to psychedelic-era Beatles, this is the album I turn to. (Yes, I know it’s not technically a real album—it’s Capital Records cross-breeding a British EP with a group of uncollected singles— but MMT transcends its cash-grab roots.) Pepper captured the spirit of ’67, to be sure, but the songs here are so much stronger, from “Strawberry Fields” and “Penny Lane” (yanked off the Sgt. Pepper album for a two-headed monster of a single) to the ultimate flower power anthem “All You Need Is Love”; from Paul’s gorgeous and insightful “Fool on the Hill” to John’s surreal masterpiece “I Am The Walrus.” This is the Beatles experimenting—in the studio and in their own heads—and creating musical landscapes that had never been heard before. So why isn’t Revolver higher on my list? That’s something I’ve asked myself a number of times. It could be because I came to the album a few years late—don’t ask me how, but it’s one of the few Beatles albums I didn’t purchase in real time, when it was released—but I think it has more to do with the production. Unlike Rubber Soul before it, and Pepper afterwards, both of which were warm, welcoming and expansive, there’s something cold about Revolver’s production that creates a distance between the listener (well, this listener) and the music. Which doesn’t make it any less brilliant or groundbreaking. Distance or not, Revolver is a towering achievement. There are weaknesses here: George’s two contributions are just okay, his real breakthrough as a songwriter would come on Rubber Soul—and “Act Naturally” is a pleasant, but disposable, diversion for Ringo. But the title track, “You’ve Got To Hide Your Love Away” and “Ticket to Ride” are three all-time Lennon greats (I’m also fond of the much-maligned “It’s Only Love”: most of the maligning done by Lennon himself). McCartney delivers up the heartfelt, exhilarating “I’ve Just Seen A Face,” the underappreciated “Tell Me What You See” and a little ditty—perhaps you’ve heard of it?—called “Yesterday.” And it’s all capped off with a look back at the band’s rock and roll roots, as Lennon screams his way through Larry Williams’ “Dizzy Miss Lizzie.” If there’s an underrated album in the Beatles catalogue, this is it. 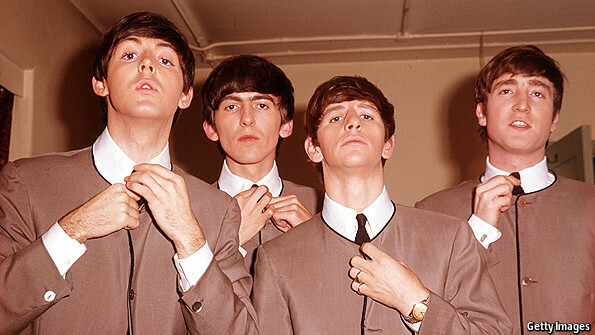 Is Pepper the best album the Beatles ever recorded? I don’t think so. Is it the most influential pop album of all time? Possibly. Does it capture a time, a spirit, a sense of inward seeking and creative expansion, in a way few other albums do? Absolutely. I love Pepper’s freedom and playfulness, it’s open-armed embrace of the audience; and if “Strawberry Fields Forever” and “Penny Lane” had been included as originally planned, I suspect it would be higher on my list. But the bottom line is that, for the most part, the songs on Sgt. Pepper aren’t half as strong as the creativity brought to bear on those songs. That said, John and Paul’s astonishing “A Day in the Life” is where the Pepper myth and reality collide: the song deserves every accolade it’s ever received and more. Lennon’s vocal alone—so cold it’s hot, so alienated it’s intimate—is enough to lodge the track in your heart and head forever. And the climax feels like the end of one universe and the birth of another. Which I suppose it was—although not in the way everyone expected at the time. Yes, the sessions were, by all accounts, a nightmare. Yes, Phil Spector’s production capsized “Long and Winding Road” and several other tracks. But there’s so much good music on Let It Be—“I’ve Got A Feeling,” "One After 909," “Dig A Pony,” “Two of Us,” “Get Back,” all of it perfectly calibrated by Spector—that it almost (almost!) doesn’t matter. Let It Be Naked, released decades later, was a good attempt at re-creating the band’s original vision, but while some of it (especially the stripped-down versions of “Long and Winding Road” and “Across The Universe” and the much-needed inclusion of “Don’t Let Me Down”) was wonderful, much of it seemed redundant. For completists—and aren’t we all?—there are also the endlessly-bootlegged Glynn Johns-produced versions of the album that the band famously rejected. Twice. I’m not necessarily a huge fan of endless reissues, but if any Beatles album deserves a new, deluxe treatment it’s this one. I’d love to see a triple album, bringing all these previously-released versions together. No, make that a quadruple set, because there was so much recorded during these sessions that you’d need a fourth album to do this strange chapter in the Beatles story justice. Yes, Let It Be was a sprawling mess, but there’s priceless treasure in that mess. 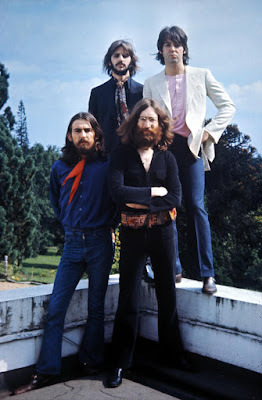 The band’s second album kicks off with Lennon, both desperate and exhilarated, singing “It Won’t Be Long” and ends with John almost (but not quite) topping “Twist and Shout” with a primal screaming interpretation of “Money.” Paul’s “All My Loving” is an instant classic, imbued with all of his warmth and charm, George makes his songwriting debut with “Don’t Bother Me” and the rest of the album, though not always offering first-tier Beatles, still captures the raw energy, charisma and inventiveness of the band’s euphoric early days of global fame. A debut for the ages—and it begins and ends with all-time classics: Paul’s exuberant “I Saw Her Standing There” and John’s throat-shredding interpretation of the Isley Brothers’ “Twist and Shout.” In between we get the band’s first two hits—“Love Me Do” and “Please Please Me”—and an always-engaging array of covers and originals, including the surprisingly introspective “There’s A Place,” one of the best of the early Lennon-McCartney collaborations. Mostly a combination of previously-released Beatles songs used in the animated movie and George Martin’s score for the film (which, as film music goes, is very good; it’s just not what we signed up for). In many ways, this is a non-album. The only lasting value is found in the four new tracks: two underrated gems—John’s rocking “Hey Bulldog” and George’s cosmic epic “It’s All Too Much”—a cheerful McCartney throwaway, “All Together Now,” and one of George's lesser offerings, "It's Only A Northern Song." If Yellow Submarine had been released in the digital age, people would have been downloading those four tracks and ignoring the rest of the album. Although they’re not “official” albums, I have to mention two more favorites—Past Masters Volumes One & Two—that collect various singles and EP tracks that never made it onto the original British albums. You get everything from early hits like “She Loves You” and “I Want to Hold Your Hand” to turning point songs like “We Can Work It Out” and “Rain” to later era classics like “Hey Jude” and “The Ballad of John and Yoko.” Hell, you even get the Beatles singing in German. JM, I came to this post just a few minutes after sitting down with "Sgt. Pepper" & listening to it all the way through, for the first time in a long time, prefaced by "Strawberry Fields Forever" & "Penny Lane" -- they should be there after all. I won't give a lengthy exposition of my reactions; I'll just say that, more than ever, this is an album that really needs to be heard in its entirety, more than any other Beatles album, because that's where its true strength lies. Yes, there are individual songs that are masterpieces -- "A Day in the Life" for sure! -- but it really works best as a whole, I think. Even in the most fantasy-laden, sunlit songs, there are undercurrents of uncertainty, and a real awareness of the sorrows & random cruelties of the world. "Good Morning Good Morning" is one of the bleakest, starkest depictions of the grinding banality of everyday life that I can think of -- even the relentless chugging of the saxophones is rather ugly & sullen. If this is escapism, it comes with the warning that escapism is ultimately an illusion, however lovely ... but there's also the possibility of genuine love, tenderness, and awakened awareness. And as you say, it also captures that time perfectly; it's the expression & avatar of all that was in the air & the psyche & the soul then. I hear what you're saying about "Maxwell," Tim. If it had been some B-side I'd probably like it better. And I like the idea of the song—a jolly kidding singalong about a murderer—but somehow it doesn't really work for me. Keep in mind, though, that a lesser McCartney song is still a thing of beauty, so I can't hate it! I agree about PEPPER working best as a whole. It's the spirit of the thing, the creativity and joy they put into it, that makes the album work. You're not alone in noticing the dark undercurrents in the music, either. Several reviewers I've read recently point that out. Lennon, especially, was in a very dark place when that album was being made and it seeps through in his songs. And, again, just because PEPPER isn't at the top of my list doesn't mean I don't love it. Just that I love other Beatles albums more. Uh...that should have been "jolly KIDDIE song," not "kidding." Although I guess that works, too! I LOVE "Maybe I'm Amazed" but, back to back with "Oh, Darling!" it might have been too much. "Junk" is a perfect little gem, with a haunting, beautiful melody and a sweet nostalgia, so I vote for that. Yes, I'd go with "Junk" myself. I really love Paul's first solo album, and specifically for its ramshackle, somewhat unfinished quality. There's something rather vulnerable & open about it. While I can't see him doing something as naked & searing as the wondrous "Plastic Ono Band" it would have been interesting to see him go at least a little in that general direction. (I know you could write at glowing length about "Plastic Ono Band" -- from an era of stunning confessional poetry in general, it stands out in all of its raw, painful, courageous beauty & passion. POB is simply one of the greatest albums ever made, by anyone, any time. And that includes the Beatles. Not necessarily my favorite Lennon album (WALLS AND BRIDGES gets that honor), but unquestionably his best. A masterpiece. I think Paul's first album is, in a weird way, his own POB. It's stripped down, it's deeply personal, it's clearly heartfelt. I don't think he's capable of slicing himself open and bleeding into the song the way John does, but perhaps his melodies do what his words can't. That said, MCCARTNEY is on the slight side, not the masterpiece that POB is, but that's part of its charm. I always felt that, after working so hard in the latter Beatles years, offering up classic after classic, Paul just wanted to relax. One of my favorite McCartney albums. The closest he's ever come to Lennon-style confessionals is CHAOS AND CREATION. It's a darker album, for sure, more revealing than Paul usually is and, strangely, less compelling! (I've never been able to figure that one out.) But it includes one of my all-time favorite McCartney songs, "Jenny Wren." Our rankings of our favorite Beatles albums are eerily similar (as opposed to our rankings of favorite Star Trek movies). It's tough to state which is my personal favorite. Is the criteria which album has the selection of best individual songs (because then I'd agree that it is indeed The White Album) or is it that the album is the most cohesive and flows the best (because then I'd choose Abbey Road). For me, the only real weakness of The White Album is the few songs that I find to be clunkers. I don't share the same enthusiasm as you do on "Piggies" or "Revolution 9". Oddly enough, the only person I've ever met in my life that likes "Happiness is a Warm Gun" is my daughter Elizabeth. When we play the album in the car, I tend to skip that track and she always asks me to go back and play it. 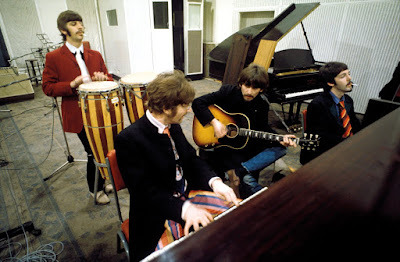 For me, Abbey Road is full of great songs, and they are incorporated into the album in the exact right order. They have to be placed in the track position that they are in for the album to work. Additionally, as much as John and Paul will always be the true genius behind the Beatles, I think the single greatest Beatles song ever written (and perhaps the greatest rock song ever written) is "Here Comes The Sun" by George Harrison, also found on Abbey Road. I would flip-flop Hard Days Night with Sgt Peppers from your list, and I'd disregard Yellow Submarine (which I don't consider to be a full album release) and then I'd pretty much agree 100% with your rankings. The Beatles broke up before I was even born, and yet my children all love their music. I find their music to be timeless, and that to me points to the genius of their work. I think "Happiness Is A Warm Gun" is off-the-charts brilliant, George. A twisting, twining deep dive into the shadows of Lennon's soul, jumping from style to style, ending in an explosion of joy. The band is tight—amazingly so, considering the intricacies of the song and... Well, I could go on and on about it. But I suspect I won't convince you. I don't know if "Here Comes The Sun" is the single greatest Beatles song, but it's certainly in my top five. It encapsulates the optimism, melodicism and ineffable magic of the band. The performance, the production, everything about it is letter perfect. It's as if George absorbed John and Paul's best qualities and then channeled them through the song. "Something" gets most of the George-love on ABBEY ROAD, but "Sun" is absolutely George's best Beatles-era song. Probably his best song period. We could talk about this stuff forever, couldn't we? Man, you sure love lists. How long until a poll on the lists of what we want to see? And what a surprise, they ll won. Or you do a list of your favorite lists, both yours and other peoples? Only time will Yardbirdsforever really tell. Let me guess, June is now officially list month. I'll be doing a list of all my favorite Jack posts, going all the way back to the Amazon blog. Isn't he only real question worth asking about the Beatles, who would the Fab Four be in the Fantastic Four? Disagree. George is the Thing. Thoughtful, back bone of the organization in search for for meaning in a convoluted world. Sounds like that description of the Thing could apply to George too. And I feel that Johnny would have a similar love for the excesses of stardom Ringo did. Of course, George is the Beatles I respect the most, and Thing my favorite F.F. member, so perhaps some bias. However, I am right. And the best piece of evidence to support me? Thing is both the most likely F.F.er to bond with Homer Simpsons over brownies and then be dismissive when he sees him singing on a rooftop. Fascinating BBC documentary just screened here in the UK - Sgt Pepper's Musical Revolution with Howard Goodall - a must see for a fan such as yourself, Mr D. Great stuff. Hope you get to see it soon. It's being shown here on PBS. Looking forward to it! I'm hardly a Beatles expert and I'm not sure where I'd put most of the albums on a list. For me, personally, THE WHITE ALBUM is the most consistently enjoyable as a whole, and the only one where I don't skip any of the songs. When I think about my favorite Beatles songs, things get distributed a lot more evenly across the board. I'd say "Happiness is a Warm Gun" and "While My Guitar Gently Weeps" are the ones that really stick with me. I didn't realize "Happiness Is a Warm Gun" was underrated. Not knowing any better, I always assumed there was a critical consensus it was one of their best. It would earn a place in history for its wit alone, but achieves true brilliance because the 'speaker' seems so delightfully unaware of the irony. John plays it not just sincerely, but so enthusiastically, that you'd almost believe it was really a love song to firearms, or even just a love song. The way he belts out, "When I hold you...in my arms..." It's hilarious, poignant, and deeply sad. I see "The Continuing Story of Bungalow Bill" as the flipside, where everyone is in on the joke. As such, I think it's criminally underrated, if for no other reason than it (maybe?) liberated Lennon to really dig into the irony of "Happiness is A Warm Gun." I love "Bungalow Bill," David...and, as the story goes, it's based on a guy the Beatles met at the Maharishi's retreat in India. He was there, allegedly, to find inner peace through meditation—and then went out hunting tigers! Lennon was (as the British say) gobsmacked by the contradiction and wrote the song. Ah, interesting! Thanks for the insight. I've never heard about Lennon reading comics, by the way, although I'm pretty sure I read that Ringo enjoyed them. Did they have an awareness of their appearance in FANTASTIC FOUR? And was that something that had to be negotiated with their agents, or were the rules about using likenesses more lax at the time? It was an issue of STRANGE TALES, when Thing and Torch had their own strip. And I sincerely doubt Marvel cleared anything with Beatles management. But I don't know for sure. Speaking of which, have you ever read Elliot S! Maggin's Superman novel MIRACLE MONDAY? Ray Bradbury makes an appearance. Never read it. Does Superman actually meet Bradbury? Yes! There's a pretty interesting (and funny) backstory about them having known each other since Clark was Superboy. I don't want to spoil that for you, but trust me, you'd love it for that alone. It was just re-issued this May. Reading JMD writing about Beatles is a great way to start the day.